An APP isn’t just a nice to have, it can have real power for your business and although your website might be responsive down to mobile screen sizes, and app can do some things a website can’t. We build mobile apps for IOS, Androids and Windows for both smart phones and tablets. 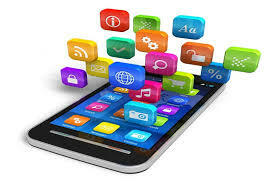 A dedicated mobile app can be the point of difference for your startup or the transformation of a global organisation. With a mobile presence on the App Stores you gain access to a huge market, all of whom will have access to your brand. We have extensive experience in User Interface UI and User experience, or UX. This is where we add value, the technology has to work but the success of the app will be in the design and user experience of your mobile app. How quickly can a user get from A to B, what animations are engaging your users. Following research we will design your mobile app to be easy to use, aesthetically pleasing and engaging. We will analyse and perfect the usability flow in your app, and with our expertise you will be able to see your brand implemented throughout your app, from the logo to individual menu buttons. After many years in the mobile industry, We know better than anyone else in the importance of collaborative development. We have expert mobile app developers at Uniqmedia, they are not just good coders but what makes them experts is the value and insight they can provide into the latest techniques, evolving technologies and eye for design. An eye for design in developers is often rare but for our products and for our clients it has been key to their success. The successful launch of any product depends on an appropriate marketing campaign; even the most viral apps need a little help to get started! The right marketing strategy counts for everything; it is what separates the successful apps from the forgotten ones found at the bottom of the list.